Eating healthy, delicious foods doesn’t have to put a dent in your wallet. 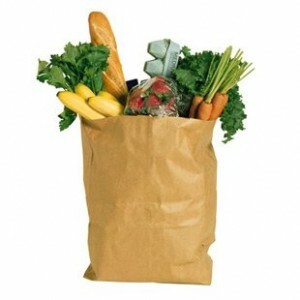 In fact, if you plan ahead, eating fresh fruits and vegetables can actually save you money! When you look at the USDA food pyramid, many of the things we should be eating the most of — grains, legumes, fruits and vegetables — happen to cost the least. Generally the more processed a food is the more expensive it becomes. Making a Grocery List will help you avoid spending money on foods you don’t really need. Include frozen, canned and dried forms of fruits and vegetables on your list. These especially come in handy for quick-fix meals. Alphabet search: From A to Z you can find healthy foods without breaking the bank! Whole foods such as Apples, Bananas, Beans, Carrots, Green Beans, Lentils, Oatmeal, and Sweet Potatos are often around a dollar a pound! Plan for fruits or vegetables to take up about half of your plate. Plan your meal around whole grains, and vegetables, and then add protein and cheeses. For an example of how this plate would look check out this diagram. Buy in season. Although most fresh fruits and vegetables are available year-round, some are less expensive when they are in season . In the long winter months in New England it can be hard to afford certain fruits and vegetables. Keep in mind frozen fruits and vegetables are just as nutritious as their fresh counterparts. Replace half the meat. Substituting half the meat in a recipe with beans and/or vegetables will boost nutrients, add flavor and increase fiber, as well as save you money. Want more healthy eating tips that won’t break the bank? Register for the Healthy Cooking on a Budget Class at Fitrec (PDP NT 104) for next fall semester! Registered Dietitian Laura Judd will help you understand your unique nutrition needs and the health-promoting foods that will help you meet them. Then you’ll perfect the skills and strategies for stocking a healthy kitchen, modifying favorite recipes, and basic cooking by participating in a series of interactive sessions. The end result: You will be well on your way to a lifetime of true “value meals”. Do you have any tips on how to keep your food budget to a minimum?